Deadline for submitting your projects is Wednesday, January 14, 2015 at 11:59 PM US Central time. This is Lynda hosting this week's Inspirational! Our theme this week is all about a pink/brown/cream color combination! You must have a stamped image on your project and use the color combination. Here is my projects based on our theme this week. 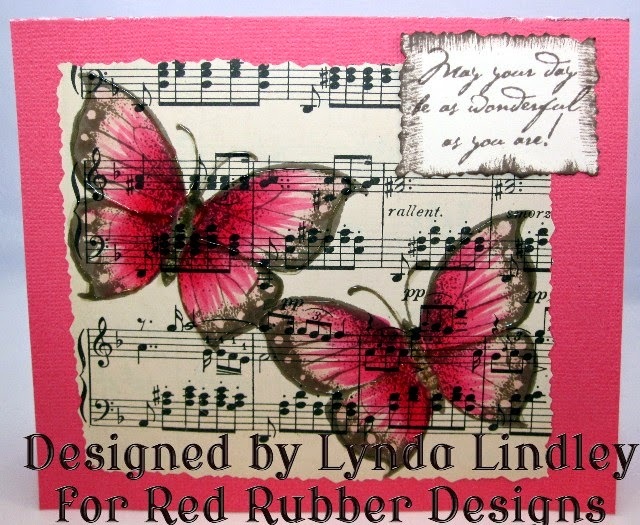 I used the Asian butterfly stamp set; stamping it in brown stazon ink onto music paper. I then colored the image using Copic markers. I stamped the sentiment onto cream cardstock using the same brown ink. I then trimmed the image with deckle scissors and added it to the card base. I added glossy accents to the butterfly. for the remaining four cards I followed the same steps except used German glitter glue to outline the butterflies, so they are super sparkly. Super cute butterfly card - thank you for the challenge -have a lovely week! Beautiful! 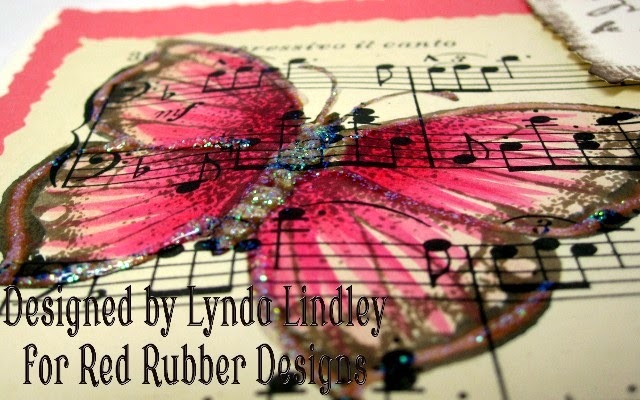 I love the butterflies stamped over the music paper! !